Introducing the MultiFiber™ Pro Optical Power Meter and Fiber Test Kits. 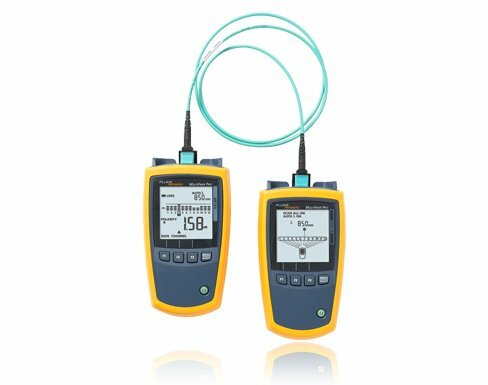 MultiFiber Pro Optical Power Meter and Source is the only fiber tester that can certify MPO fiber trunks without the use of fan-out cords. This singlemode and multimode MPO fiber testing kit eliminates the complexity of polarity issues, and it makes cassettes easier to test in the field. Whether it is using 10 Gbps preterminated MPO fiber trunks or planning for next-generation 40/100 Gbps Ethernet performance, data centers are standardizing on an MPO connector solution. Typical data center fiber installation means time-consuming, manual and imprecise MPO validation. MultiFiber Pro Optical Power Meter and Source is 90 percent faster than single fiber cable certification because it measures power loss and validates polarity on 12 fibers in a single connector— reducing test time from weeks to days. 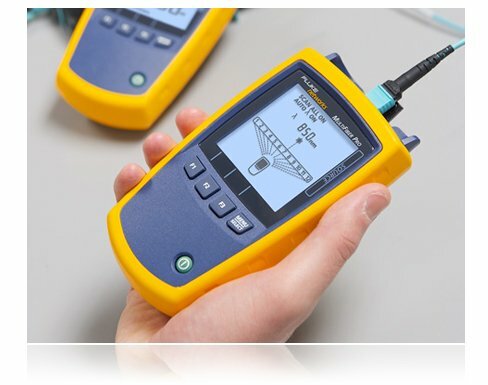 The Scan All function in the MultiFiber Pro Power Meter automatically scans and tests all 12 fibers in MPO connectors – taking just 6 seconds to complete all loss or power measurements. This feature automates the certification of MPO terminated fibers and eliminates the time consuming and manual process of moving the fiber tester from fiber to fiber while using fan-out cords. The simple purpose of any polarity scheme is to provide a continuous connection from the link’s transmitter to the link’s receiver. For array connectors, TIA-568-C.0 defines three methods to accomplish this: Methods A, B and C. Deployment mistakes are common because these methods require a combination of patch cords with different polarity types. The polarity measurement of MultiFiber Pro allows the user to test individual patch cords, permanent links and channels for correct polarity. 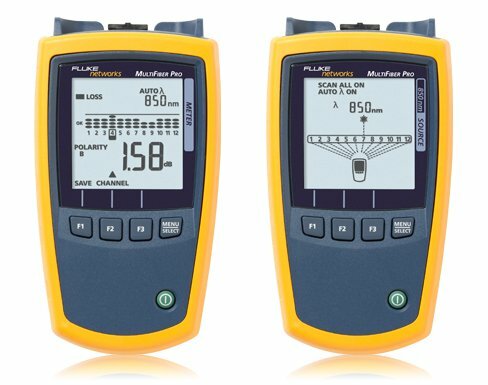 Equipped with MPO connector on both the Optical Power Meter and Light Source, it eliminates the use of costly and complicated fan-out cords to test MPO fibers. Uncovered ports can put cabling, equipment and testers at risk for contamination and affect performance. Ensuring a covered connection on your tester can protect it from dirt and dust. MultiFiber Pro makes it easy by shuttering the MPO connector giving you greater test reliability and peace of mind. The MultiFiber Pro is so successful at simplifying the task of simultaneously representing polarity, power and loss results for 12 fibers that the user interface is patent pending. The power meter enables the users to easily comprehend the measurement results of 12 fibers simultaneously. The light source identifies each fiber within the MPO connector that is being tested. Any individual measurement that fails the test limit is plainly identified to allow root-cause analysis. This powerful yet straightforward test set enables everyone to become a fiber testing expert and increases efficiency in testing data center projects. One of the main problems in the data center is the ability to drill down to a single fiber during testing and troubleshooting. MultiFiber Pro can troubleshoot a single fiber within an MPO trunk and provide a single fiber test result. This ability increases MPO connector verification and troubleshooting flexibility with more precise, per-fiber data and reporting. 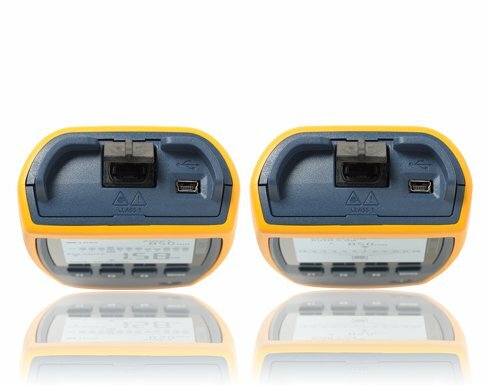 The MultiFiber Pro Power Meter stores up to 3,000 test results (or the equivalent of 250 MPO cables) internally which can be uploaded to a PC using the LinkWare™ 7 Cable Test Management Software. LinkWare 7 allows you to manage test results, edit cable ID’s, print professional reports and even export the data into spreadsheet formats. The FI-7000 is the ultimate inspection tool. 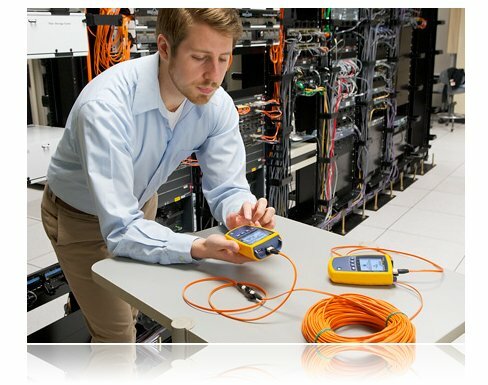 It enables you to quickly inspect and certify fiber end-faces inside ports or patch cords. It’s 2-second automated PASS/FAIL eliminates human subjectivity and enables anyone to become a fiber inspection expert. Cleaning is critical. 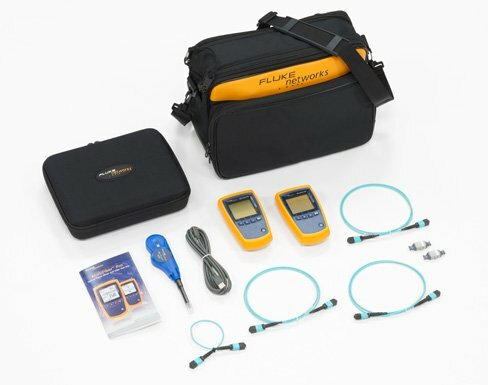 Fluke Networks’ Quick Clean Cleaners instantly clean fiber optic bulkhead connectors and end-faces. Just push the tool tip to engage cleaning action and pull back on the wheel – it’s that simple. The MPO Quick Clean Cleaner is bundled with the MultiFiber Pro kits to ensure that you have the best cleaning tool from the beginning. MultiFiber Pro Testing Base Kit includes MultiFiber Pro Power Meter, 850 Light Source, Test Cords, MPO adapters, Magnetic strap attachments and carrying case. MultiFiber Pro 1310 nm Singlemode Kit includes MultiFiber Pro Power Meter, 1310 nm Light Source, Test Reference Cords, MPO adapters, Magnetic strap attachments and carrying case. MultiFiber Pro 1550 nm Singlemode Kit includes MultiFiber Pro Power Meter, 1550 nm Light Source, Test Reference Cords, MPO adapters, Magnetic strap attachments and carrying case. MultiFiber Pro Multimode & 1310 nm Singlemode Kit includes MultiFiber Pro Power Meter, 850 nm Light Source, 1310 nm Light Source, Test Reference Cords, MPO adapters, Magnetic strap attachments and carrying case. MultiFiber Pro Multimode & 1550 nm Singlemode Kit includes MultiFiber Pro Power Meter, 850 nm Light Source, 1550 nm Light Source, Test Reference Cords, MPO adapters, Magnetic strap attachments and carrying case. MultiFiber Pro Singlemode test kit includes MultiFiber Pro Power Meter, 1310 nm laser light source, 1550 nm laser light source, Singlemode test cords (1 unpinned/unpinned; 1 unpinned/pinned; 2 pinned/pinned), 2 APC MPO adapters, Magnetic strap attachments and carrying case. Optical connector MPO interface for 12-fiber, unpinned plugs. Compatible with 62.5 µm, 50 µm, and singlemode fibers. Connector has a self-closing, protective cover. For a continuous-wave optical signal. Measured power levels≤ 0 dBm. Backlight on. Battery life depends on the condition and type of batteries used. Fluke Networks recommends alkaline batteries. 23°C, after 10 minutes of warm-up time. 23°C, after 15 minutes of warm-up time. Auto wavelength, SCAN ALL, and backlight on. Battery life depends on the condition and type of batteries used. Fluke Networks recommends alkaline batteries. Optical connector MTP/MPO interface for 12-fiber, unpinned plugs. Compatible with 62.5 µm and 50 µm fibers, non-APC only. Connector has a self-closing, protective cover. MTP/MPO interface for 12-fiber, unpinned plugs. Compatible with 9 µm fibers, APC only. Connector has a self-closing, protective cover. 4. 23°C, after 10 minutes of warm-up time. General information and safety information for the MultiFiber Pro power meter and multimode and singlemode sources. Gold Support for your MultiFiber Pro Optical Power Meter allows you to make the most of your MultiFiber Pro purchase while ensuring a higher return on your investment. You will minimize your downtime, receive faster trouble resolution and have total access to all support resources. 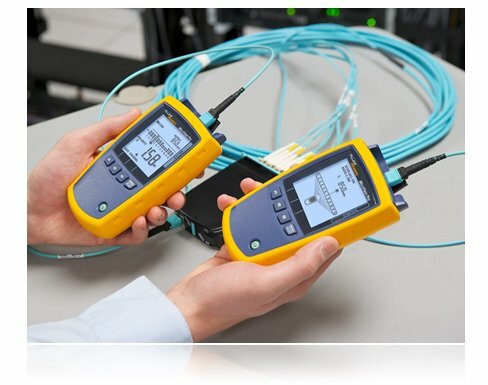 What do you get with Gold Support for your MultiFiber Pro Optical Power Meter? Annual Calibration and Factory Refresh - Keeping your MultiFiber Pro calibrated is critical to ensure accuracy when testing fiber. Our calibration processes are controlled and designed to certify that your MultiFiber Pro meets all published specifications. Typical turnaround time for a calibration is 5 working days. Your MultiFiber Pro will be calibrated to factory specifications (calibration certificate provided), upgraded with all of the latest software and firmware then cleaned and performance verified. In addition, all accessories that came with your MultiFiber Pro will be tested and replaced if faulty or defective. 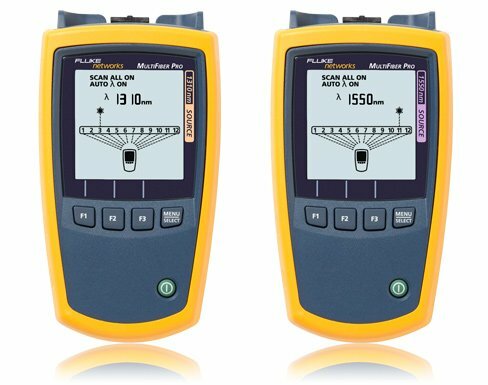 Repairs and loaner equipment - If your MultiFiber Pro Optical Power Meter should fail and need repaired, you will receive a replacement unit to keep - all shipping paid by Fluke Networks. Accessory Replacement - Some accessories are essential to testing fiber. If any accessory that comes with your MultiFiber Pro model are qualified as defective or faulty by our technical assistance center, it will be replaced free of charge. Ensure that you are getting the most out of your MultiFiber Pro Optical Power Meter with Gold Support Services.